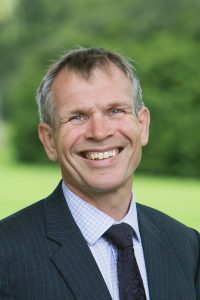 Martin Reader became Headmaster of Cranleigh School in September 2014. It is a genuine privilege to be Headmaster of such a special school. I continue to be struck by the warmth and inclusiveness of a family atmosphere that comes from a boarding school which is large enough for diverse opportunities and small enough for everyone to be known, supported and encouraged. The Cranleigh way is to uphold a vision for flourishing young people, where busy pupils lead fulfilled lives now while developing the personal skills and qualities that will enhance their adult lives. Rooted in the School’s Christian foundation in 1865, our guiding values and principles are summarised in four words: service, relationships, leadership and excellence. Parents and pupils testify that Cranleighans enjoy everything the School has to offer and exceed expectations. 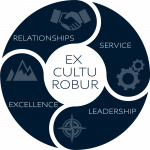 They achieve at the highest level while typically retaining a quiet confidence without arrogance, an eagerness to serve and a sensitive appreciation of the needs of others. Every one of the staff is eager to build on Cranleigh’s growing reputation for excellence. Academic results at GCSE and A2 are the best they have ever been; the School boasts national championship winning sports teams, and musicians and actors are performing at the highest level. Our partner school, Cranleigh Abu Dhabi brings added richness and an exchange of ideas and culture to enhance our local boarding environment. Our partnership with Kawama Community School in Zambia helps Cranleighans to understand the responsibilities to others their education requires. When I am asked about our vision for Cranleigh, I answer that this begins with the lives and futures of Cranleighans. Our Vision 150 statement shows how we are ambitious for the future of Cranleigh whilst remaining committed to an ethos over a century in the making. Please see our Vision 150 Report (4 MB) , which shows how we are progressing towards reaching our aims. Most importantly, please come and see the School for yourself, you will be most welcome and I look forward to meeting you. Mr Martin Reader is Headmaster and is currently Vice Chair of the Boarding Schools' Association (Chair 2018) and serves on the Professional Development Committee of the Headmasters’ and Headmistresses’ Conference. He was educated at University College, Oxford, where he was an Exhibitioner in English and English Literature. He continued at Oxford reading for an MPhil in English Studies (1100-1500). Whilst at Oxford, he played for the university at rugby and was on the bench at the Varsity Match. He also has an MBA in School Leadership International from Hull University. Mr Reader began his teaching career at St Edward’s Oxford, before moving to Oundle School and then to Reigate Grammar School where he was Senior Deputy Head. Prior to moving to Cranleigh, he was Headmaster of Wellington School, Somerset for eight years. Mr Reader is married to Amanda and they have two children who are both educated at Cranleigh. He remains a sports fan and is also a trustee of Hawk and Owl Trust. He is a Fellow of the Royal Society of Arts.